I've had a number of inquiries as to submissions for the upcoming Torchlight Zine. While we won't be posting submission guidelines until after Gary Con, I figured I'd address some of the basics. Torchlight is a zine to support Swords & Wizardry Light / Continual Light. By extension, that means it is compatible with the various flavors of Swords & Wizardry - White Box, Core and Complete. That being said, articles should be submitted with SWL in mind or system neutral. We are NOT looking for conversions of standard OGL content to SWL. We ARE looking for new content - new spells, magic items, creatures and the like. Short (2 to 4 pages digest sized) adventures are also needed. Remember, SW Continual Light only goes to seventh level, so keep that in mind. Compensation. We would like to compensate you. No details yet. First issue will be PWYW and probably written in house for the most part. Frequency of issues. We were thinking quarterly, but if there is enough material submitted, we may go bi-monthly. Size. 16 to 24 pages, at least initially. Art. 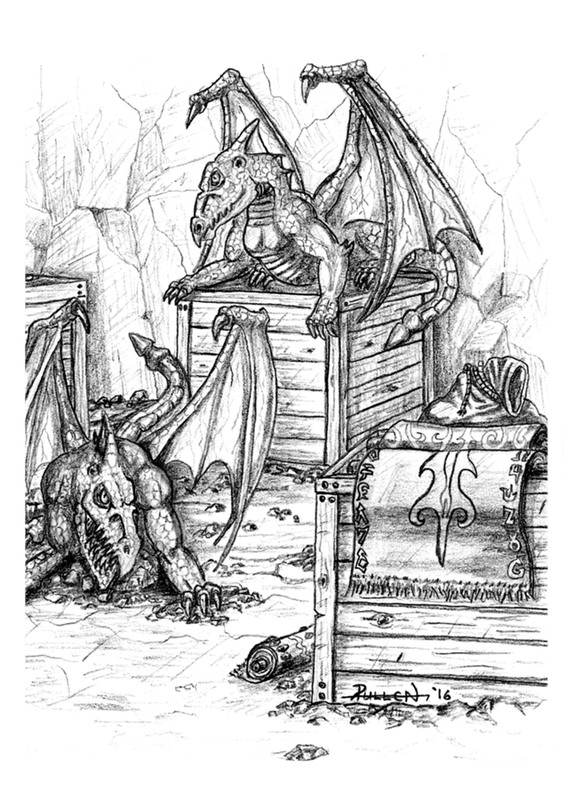 We have a sizable library of stock art but we will always consider paying for unique art from artists in the OSR. Alright, that's enough for now. If you have further questions, post them here or email us at tenkarsDOTtavern at that gmail thing.